For those seeking to improve their organisation’s social, economic or environmental impact. This briefing on the SROI methodology draws on a wealth of examples to illustrate how the methodology has brought benefits to organisations across sectors and countries. It also considers the various debates on where and when it is best used in comparison to other methodologies. The briefing puts SROI in context by explaining how and why it was developed as a methodology. It explains the principles of SROI and the processes in conducting an SROI, looking at each stage in detail with discussion around an example model. And there is plenty of opportunity to discuss your projects and challenges. Where the methodology might be best applied within your organisation. An excellent overview of SROI for senior decision makers considering ways of measuring their organisation’s social, economic or environmental impact. And it is ideal for those considering the 2-day SROI training course for themselves or their teams. This briefing is available as a team session, held at our London office or in-house. Contact us for details and a price. NEF Consulting briefings each provide an overview of a specific methodology or way of working, its benefits and how you might use it in your improvement strategy. As such, they are ideal for senior decision makers who would like to know more before deciding on the next step, whether training or consultancy. The briefings are delivered by experts in the methodologies and we can tailor them to ensure examples and other content is appropriate to your needs. But all are highly interactive with question and answer sessions and discussions. 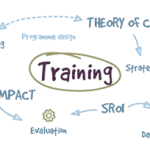 We also run SROI briefings as ‘open’ sessions where there may be up to six participants from different organisations. See the dates and participant fees above. They are usually held at our offices in London but we can deliver them on-site for an additional cost. Please contact us for details. Sign up here to be sure you hear more about new dates and topics.